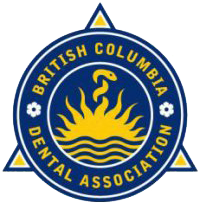 Clayton Market Dental in Surrey is dedicated to your oral health, comfort and overall convenience. Read more on this page about our frequently asked questions, financing options, and dental recommendations for home. A full mouth series of dental x-rays is recommended for new patients. A full series is usually good for three to five years. Bite-wing x-rays (x-rays of top and bottom teeth biting together) are taken at recall (check-up) visits and are recommended once or twice a year to detect new dental problems. 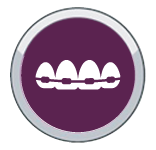 Panoramic radiographs are recommended to give an overview of the jaws and are particularly useful when examining wisdom teeth or the developing teeth. A crown procedure usually requires two appointments. Your first appointment will include taking several highly accurate molds (or impressions) that will be used to create your custom crown. A mold will also be used to create a temporary crown which will stay on your tooth for approximately 2 weeks until your new crown is fabricated by a dental laboratory. Gum Disease (Periodontal disease) is an infection of the tissues that support the teeth. Teeth are supported by the gums, or gingiva. A tooth’s root is anchored to its socket by fibers called periodontal ligaments. The gums do not attach to the teeth as firmly as one might think. A shallow, V-shaped gap called a sulcus exists between the teeth and the gums. Periodontal Disease (gum disease) affects this gap. Eventually, in periodontal disease, the tissues supporting the tooth break down. If only the gums are involved in this breakdown, the disease is called gingivitis. If only the connecting tissues and bone are involved, it is called periodontitis. Dental care is an investment in your health and well-being. 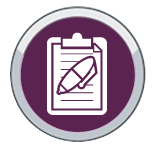 To help alleviate any financial stress, we are happy to provide estimates in advance of any treatment. There may be variables or surprises in the dental process which we will do our best to determine before starting treatment. As a result, costs and time of treatment may vary from the initial estimate. We will then offer you a revised plan and financial estimate. We accept cash, debit, Visa or MasterCard payment which is expected at time of treatment. 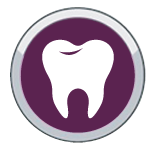 We accept most in-province dental plans and will assist you in understanding your benefits. However, any and all amounts not covered by your insurance plans are ultimately your responsibility. Brush your teeth at least twice a day (especially before going to bed at night) with a Canadian Dental Association approved soft bristle brush and toothpaste. Daily flossing is the best way to clean between the teeth and under the gum line. Flossing cleans spaces, and prevents plaque colonies from building up. New patients are always welcome. Contact Clayton Market Dental today. Our modern clinic specializes in restorative, cosmetic enhancements.